Our office staff members work closely with our clinical staff to provide you with outstanding care. Their attention to detail and encouraging outlook are integral to the smooth operation of the center. Janet Kessler joined Precision Cancer Care in March of 2016 as a Billing Specialist. 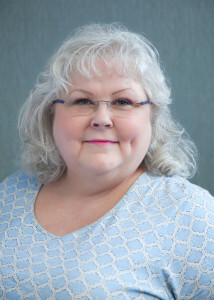 With more than 30 years’ experience of medical billing, her knowledge of insurance and coding plays a vital role in making sure all of our patients’ insurance is billed and paid correctly. She loves helping patients understand their insurance and bills and treats patients how she would want her family to be treated. Janet is married with 3 grown sons and 5 grandchildren. Her hobbies are making jewelry, reading history and spending time with her grandkids.